This stuff works. It is strong and effective. Once it is in your system, it automatically starts working. It's worth the money. fast and long acting medicine that does the job. 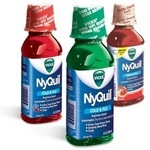 Works wonders and does not cause drowsiness. 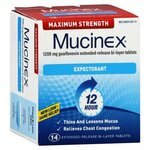 I have used this Mucinex expectorant to try to help clear up the congestion from colds. I used to use Great Value products, but I have found that Mucinex works much better for me. Congestion Relief When I get a cold, I get a lot of congestion in my head, especially when I lie down at night. It can be extremely difficult for me to sleep well when my nose gets congested and I need to breathe through my mouth. But this expectorant does a great job of clearing up that congestion. It does make my nose run more for a few days, as it is clearing out the junk. But after a few days, I notice definitively that the congestion is lowered or gone completely even as some of the other symptoms of the cold persist (symptoms that come from the virus that a medicine can't completely destroy until it runs it's course). Cough Suppression The main downside to this particular expectorant is that it does not do a good job of cough suppression, although this is not what it is designed for. I started using this one, but now I use the Mucinex expectorant with cough suppression to try to kill two birds with one stone. Cool off Label Use....not great on congestion. Mucinex Maximum Strength Expectorant is not my favorite when I have a cough or a cold. The purpose of Mucinex is to break up congestion, which is does. The issue is that it because it's breaking up the congestion I turn into a hacking mess. 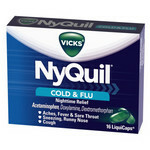 I would not recommend taking this at night as you will never sleep! It is good for a day you know you will be spending at home, but for me it is impossible to work after taking this as my congestion is so much looser I am coughing all over the place. The neat thing about Mucinex is that since it works to thin out mucus it can actually help you to get pregnant! Awesome if you are trying, but if you have a cold and are on antibiotics, then take this on top, you have nullified your birth control and made your uterus prime for fertilization so be careful! Overall this product does what it is supposed to do, I just have no interest in moving secretions when I'm ill. I need a suppressant not an expectorant. What I really like most about Mucinex Maximum Strength Expectorant is that it doesn't give me side effects like jitteriness or being off balance. It loosens up my phlegm and helps me to eliminate it. It also makes it less painful for me to cough as well. It helps get rid of chest congestion and chest pain related to congestion. i like that when I take a dose that it's effects last for several hours too. I've taken it in the daytime and it doesn't effect my performance overall it helps it. I've taken it at night and slept better as well as woke up feeling better. 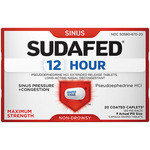 Congestion Relief This product gives great congestion relief. Chest Congestion Relief Mucinex Maximum Strength Expectorant relieved my chest congestion and helped me with getting all the cold out of my chest much faster. Relief of Aches & Pains This product helps very much with aches and pains due to my cold. 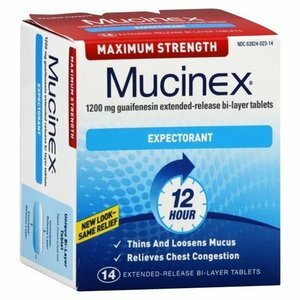 Cough Suppression Mucinex Maximum Strength Expectorant is one of the best products I have found for cough suppression out there. I have used this product for years and have come to depend on it for relieving congestion when I get a cold. When you have chest congestion it helps to loosen and break up the congestion so that it doesn't feel so tight and miserable. I think it helps shorten the cold.When my husband was being treated for cancer of the larynx his doctors recommended this specific Mucinex formula to help relieve mucus and keep him more comfortable. It is the first product we go to when either of us get a cold. If it is good enough for a major cancer center to recommend it, it is good enough for me! It helps keep you from waking up with that tight feeling in your chest and throat. It works to break up the congestion so that you can cough more productively to and help you to beat the cold. 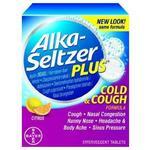 It is comparable to other cold remedies in price and it works! I hate the drowsy, light-headed feeling you get from some cold medicines. You never get that with Mucinex. I love this product! I am one of the fortunate people who suffers from seasonal allergies. The effects can vary from a sneeze here and there to full blown congestion and coughing. I never know what each day can bring me, so it is important for me to always have Mucinex on hand. Mucinex is meant to loosen up mucus. Doctors have told me to use it whenever I'm having chest congestion (a bad cold or even sinus infection can lead to that fun cough deep in the chest). The directions tell you to drink a glass of water with the pill, and I agree that helps a lot. I also recommend you continue drinking as it will help with soreness of the throat from coughing. And you will cough. Productively. Sometimes the things that come out are gross (always have tissue at the ready when taking this product-you are bound to cough up a mouth full of grossness), but rest assured this product is helping loosen up that phlegm so you can get it cleared out. I never go through this time of year without it on hand.